As a child Ann Rubino read every book she could get her hands on, her favorites being the little orange biographies her mother gave her every Christmas. That began her lifelong love of learning. She gathered it first for herself, then to share with her children, and later to share with her students and other teachers. During those years she realized that many modern children are drawn to adventure, but often of a very fictional sort. It is monsters over inventors, superheroes over real ones. She wants to change that. While Ann was teaching professionally, she won the OHAUS Award for innovations in science teaching; took part in the creation of the New Generation Science Standards; sat on the review board of Science and Children magazine; and worked as a consultant for the Museum of Science and Industry, Chicago. She holds her MT(ASCP), B.A.Ed., and M.S. Ed. and an Endorsement in Gifted Education. 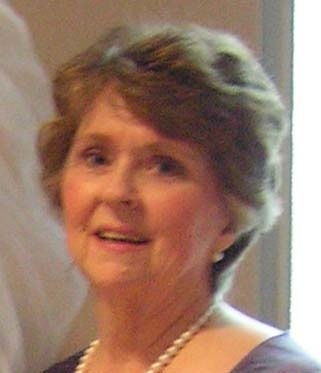 Once retired, she reviewed many children's books for the Recommends division of Science and Children and continued her work on the review board. But a teacher is what one is, not only what one does, so she's working to fill that gap-- stories of ordinary kids in real historic situations. Her classes of young gifted students always wanted to know what kids' lives were like in other times. Reading stories, they absorbed so much information about places, languages, customs and inventions. Those kids of the past have brought us to where we are now, and if you don't know where you came from, how can you know where you are going? Her books are designed to give to her grandchildren's generation a window into the past lives of everyday children. "My son will be writing a review this week for Peppino. He LOVED it. In fact, he's been checking out books at the library on World War II to understand a little more about what it was like during that time! You've got him hooked. He'll be reading Emmet's Storm after he finishes his summer reading for school." Alex R.